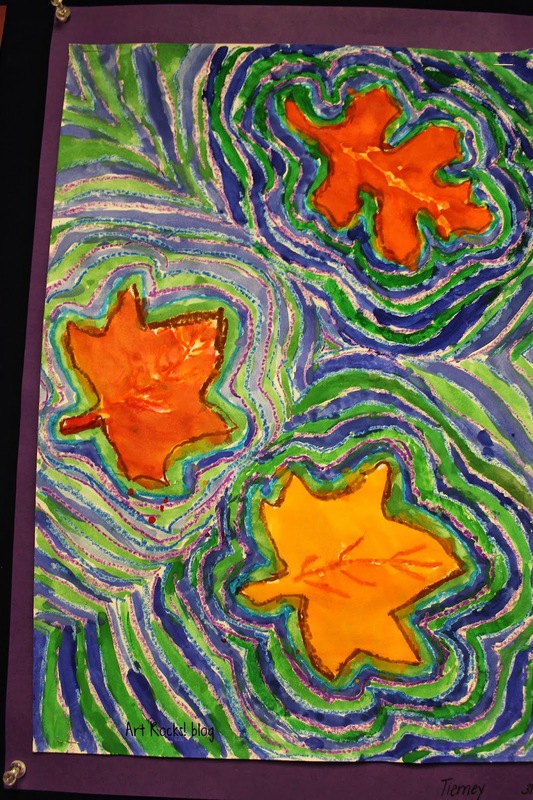 Teach students about Repetition, Rhythm and Radial Symmetry with this lesson on how to create a Mandala. Students will be amazed by the beauty of hand drawn forms in a radial pattern. 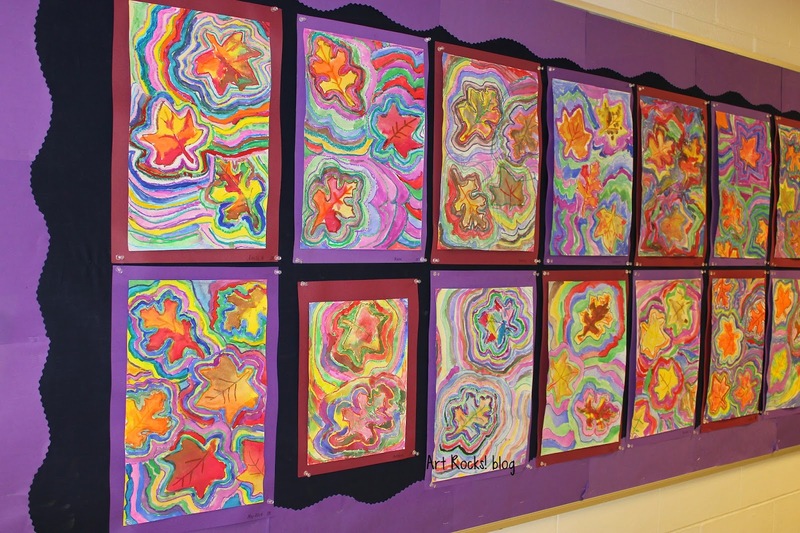 My students were enthralled and their work was truly inspired. My Zentangle Initial Lesson is a great complement to this project. 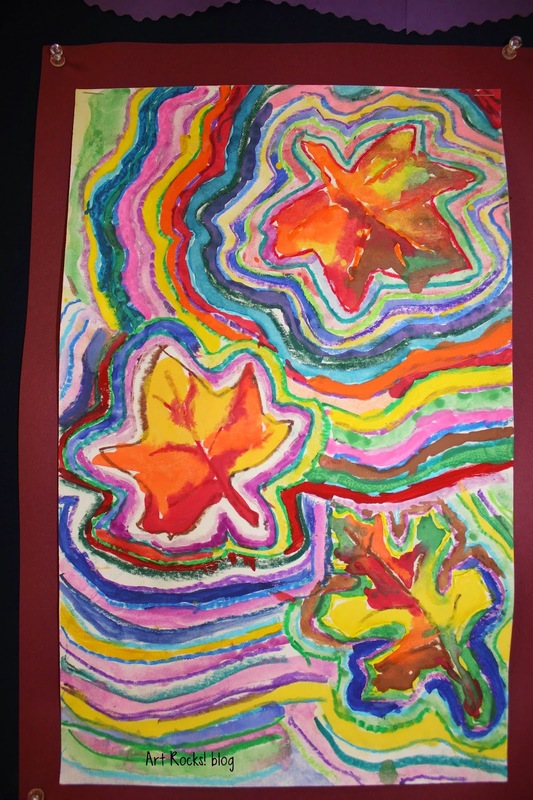 I love this lesson as it touches on many subjects that I enjoy (fall leaf colors, repetition, warm/cool colors and resist). Last year, we worked smaller- on 9x12 horizontal paper. 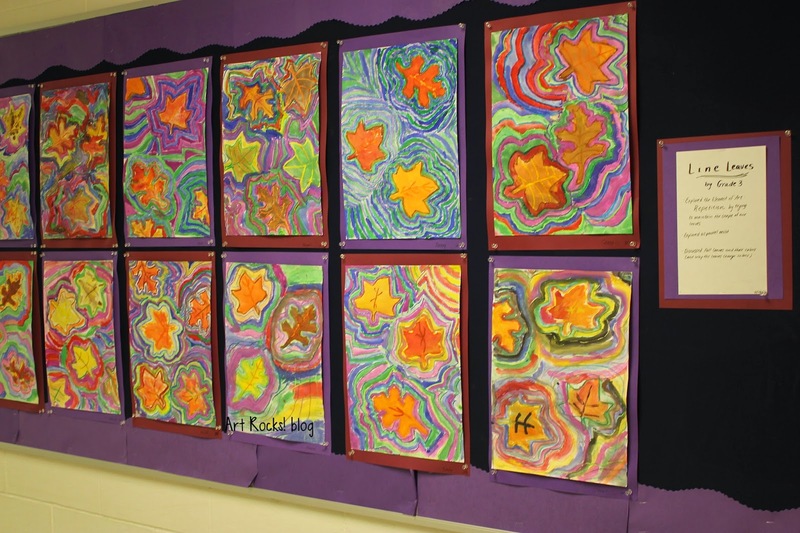 This year, I bumped the size up to 10x16 and we created a vertical composition that had between 3-6 leaves. 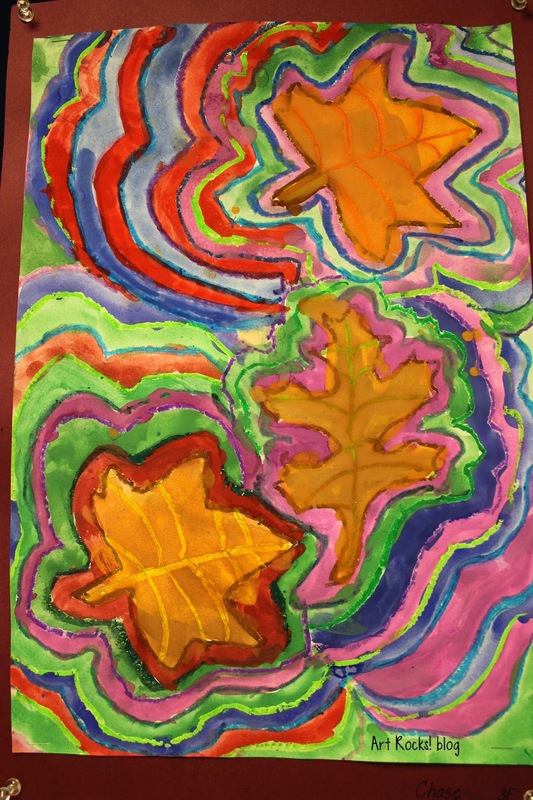 We discussed warm/cool colors, line, repetition, contour lines and fall leaf colors for this project that couples oil pastel and watercolor. 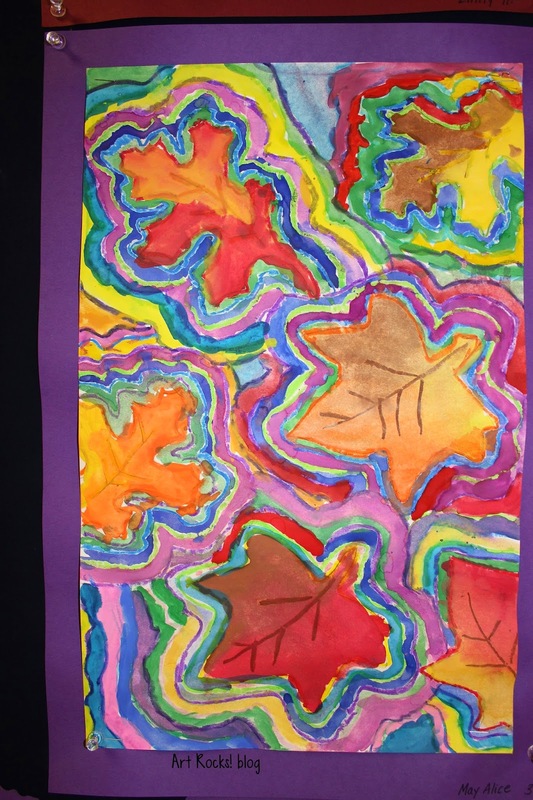 Originally, the cool colors were to be in the background and the leaves were to be painted in fall/warm colors. Last year, I was quite impressed that my students asked to use their artistic license and deviate away from this plan. I had just designed this lesson and was curious as to how it could change into a better lesson. I had a boy walk up to me with a straight face and say "Mrs. Johnson, I feel that I need to use just a touch of warm colors in my background. 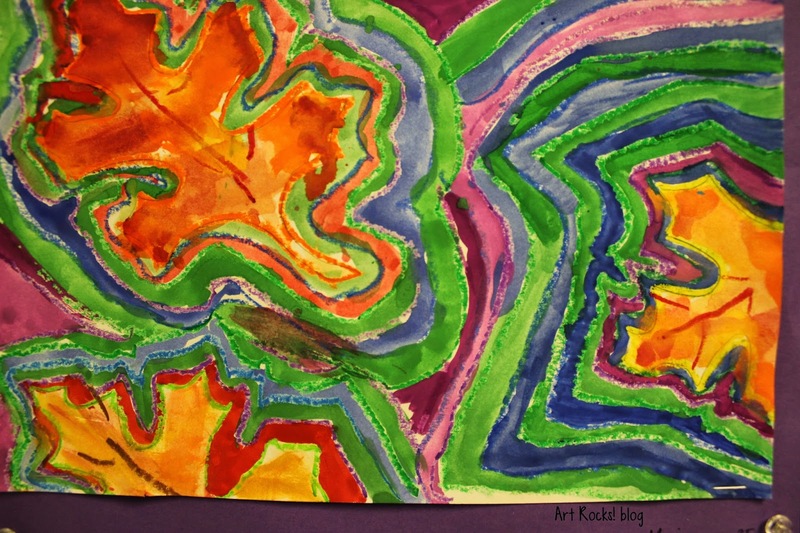 I think that it will make the painting look better..." This year, I mentioned to students to use the colors that they felt were best at the right time but to utilize cool colors as much as they were inspired to. Some students even added in black with great success. They excitedly asked my opinion of their use of color. I love discussing art with children in a way where it's a consultation and they know that their opinion about their art matters the most. So, taking risks, and use of artistic license is what they did and I am, yet again, quite pleased with the results.